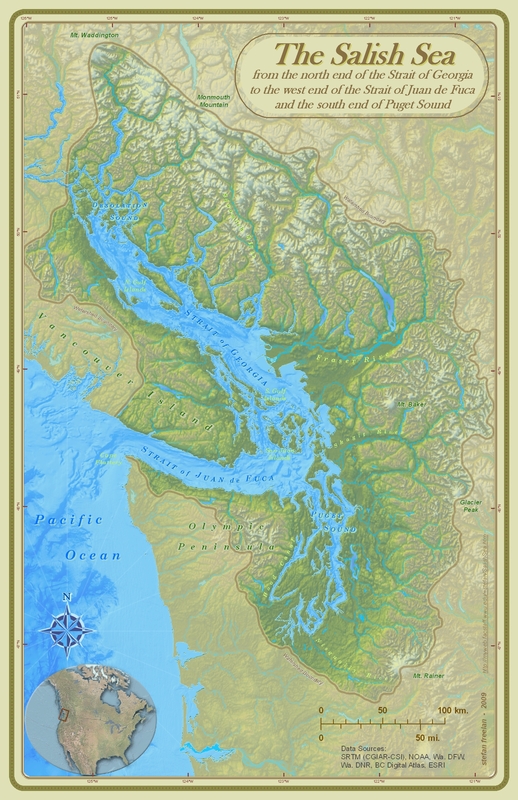 Salish Sea map by Stefan Freelan. Click on the image for the cartographer's notes. The most mind-boggling is their insistence on softening penalties for agricultural water users who illegally divert water. — “Lawmakers on wrong track for water deal,” San Jose Mercury News, October 29, 2009. Via Aquafornia. Three Gorges Dam, China. Image: Earth Observatory. 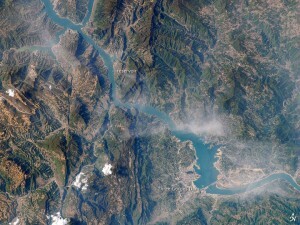 Click on the Yangtze River to be taken to a NASA history of the image and dam. There’s good news and bad news … The bad news first: the civic body has proposed to curtail the time for water supply by 30% in order to conserve lake levels till next monsoon … And now for the good news: all residents will get to meet civic officials and discuss water problems in their areas. — “You may now get water for fewer hours,” The Times of India, October 29, 2009. Via ProQuest. If California’s water leaders followed Robert Glennon’s advice, the state would find a replacement for flush toilets, get off the ethanol fuel bandwagon and find a way for people to realize that water is not as plentiful as air. — Chico Enterprise Record, October 28, 2009. Via Aquafornia. “Is it math or is it voodoo?” It’s both! Nice roundup, proving yet again that a sharp discerning eye still trumps any RSS or news feed.